Intellistant has a Built in Purchase order Module that allows users to create customized Purchase orders for Products, Services or any other miscellaneous items. Following Simple Steps allows users to create and Send a purchase order with a few seconds! You could either add a new vendor or chose from existing vendor list that was already added for a previous purchase. You could add either product / services from the Catalog Database or Add miscellaneous items on the fly. Details about the cost, Quantity, tax and other costs involved in the purchase cycle. 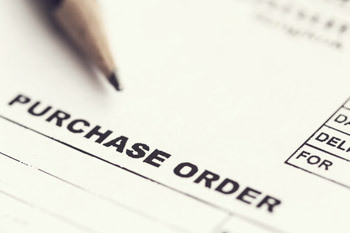 With just one click Intellistant Generates a well formatted, customized purchase order Ready to be sent to your vendor. You could either print or send a hard copy of the Purchase order or with a single click of the button the purchase order can be sent via email to the vendor instantaneously. Vendor Payments can be monitored and checked for overdue amounts with the P.O Module (Purchase order Module) this helps you to take care of outward payments before due dates.